South african champion , Ernie Els , has announced that it will not be in the final of the Race to Dubai European Tour disagreeing with forcing to play two of the three tournaments of the Final Series to be on this end . The winner of four classifies this rule as “absurd ” and will have to check his calendar. A calendar that since 1994 alternates with the PGA Tour and the European Tour . ” It is absurd . 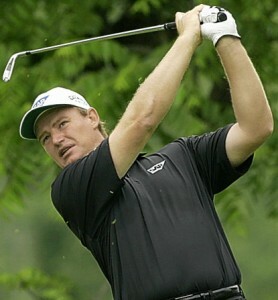 In my opinion it is a big joke, “said Ernie Els for Reuters . “I do not think they worry too much ,” he replied when asked how the Tour might react to his decision. “I understand the decision from the point of view of the Tour. I’ve been playing the two circuits since 1994 and there has been no problem, but for some reason now they want us to play a full schedule . We used to play seven events and we kept the card. Now they want us to play more than in the U.S. , I think they are going down the wrong path , “he added .